With the exception of riding on a tour bus, my trip to Subic, Olongapo was going to be my very first trip by bus. Needless to say, I was both excited and nervous. Excited because it was going to be an adventure and nervous because of the horror bus stories I read about in the news from reckless driving to groping and being pick-pocketed. But my thirst for adventure made me say yes to my friend’s invitation. 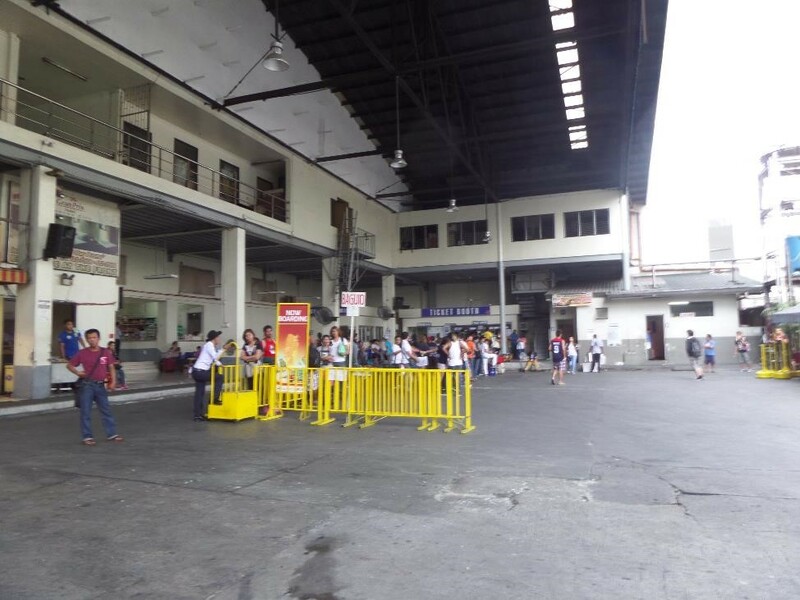 At first, we agreed on meeting at Victory Terminal in Cubao at around 9 a.m. until we remembered it was a long Labor Day weekend and therefore the terminal would be chaotic. And true enough, this was the scene that greeted us. Believe it or not, we were there before 6 a.m.! I arrived first and being at the bus terminal for the very first time, I had to find my way around. My friend texted me to line up for our tickets as the queue would get worse later. 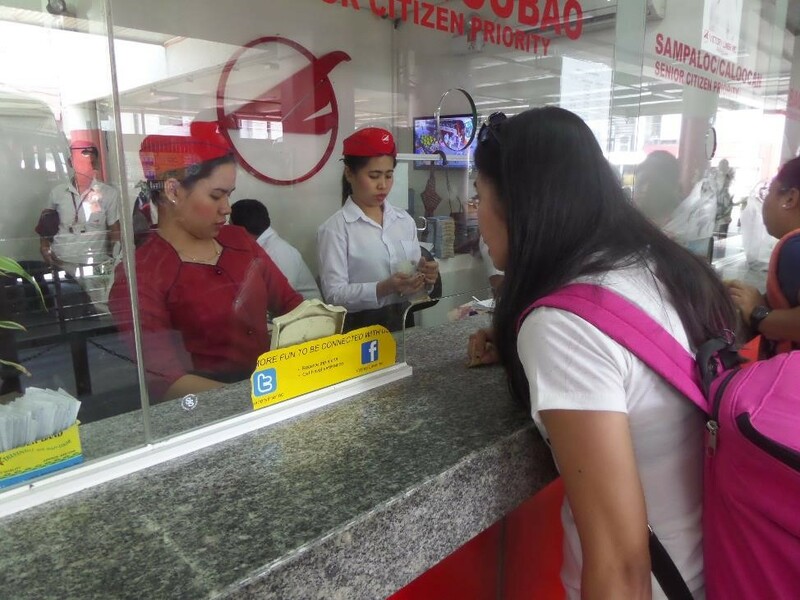 But I didn’t know where the line was so I went all the way up to the ticket booth to look for the Olongapo counter. There were two windows with “Olongapo” signs plastered on it and I quickly joined the people that were already lining up in front of each window. 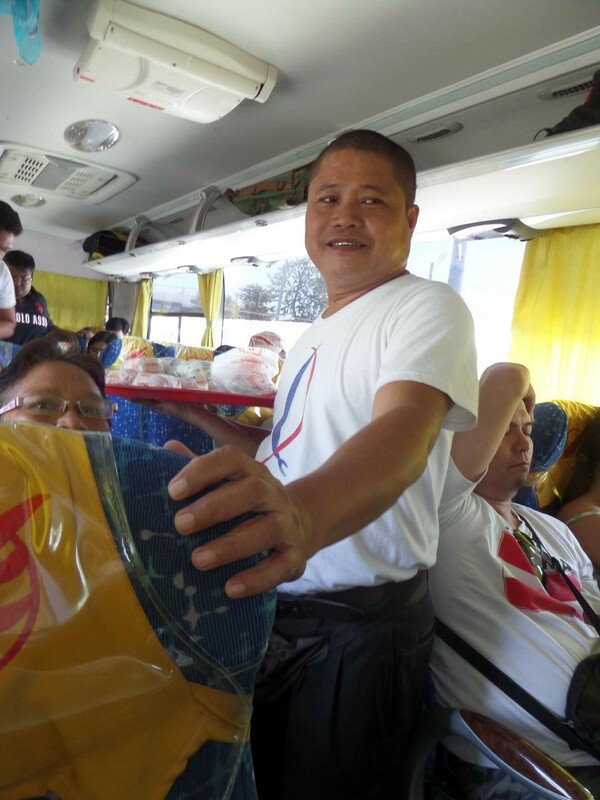 Although Subic was in Olongapo, there were other cities being served on that route by a different bus. I didn’t want to wait a long time in a line that wasn’t ours. However, I couldn’t find anybody from the bus line who wasn’t busy hollering so I approached some of the people queued up. 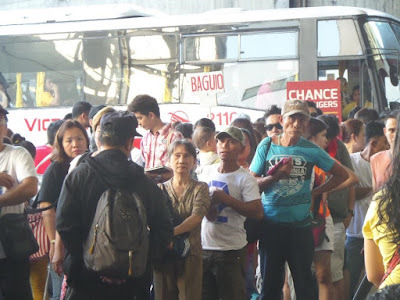 Some said, “For as long as it is Olongapo, this is the line,” one shrugged his shoulders with a sheepish smile admitting it was also his first time, while another shooed me away to the back of the line. As soon as I took my place, I saw a guard coming my way and was assured that I was at the right line. 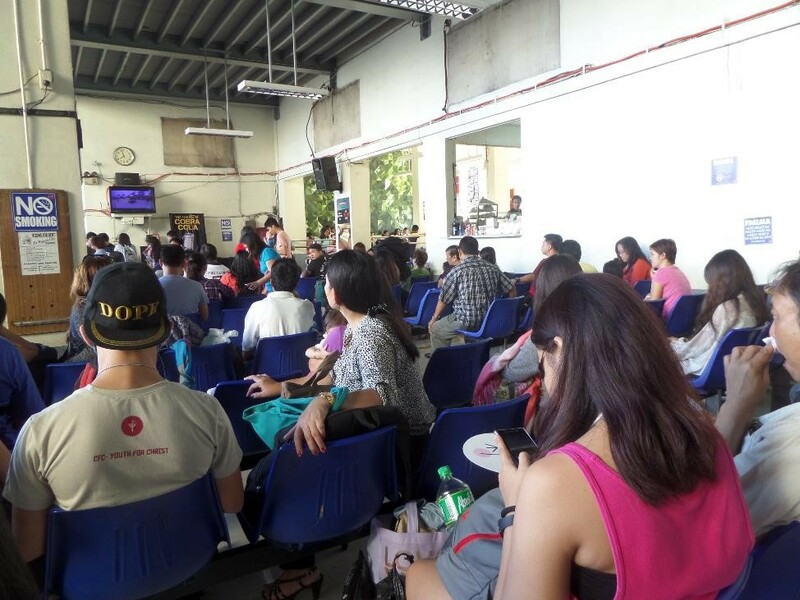 While waiting for my turn, I noticed that the terminal was not entirely covered by a roof. 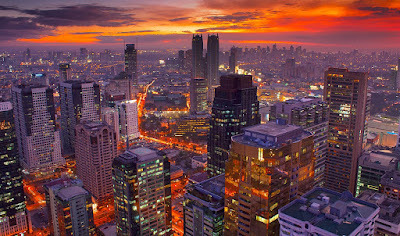 It made me wonder how more chaotic things would be if it rained. Anyway, to while the time away, I was observing the scene with the Baguio passengers that were getting ready to board. Those with reserved tickets got on the bus first but if they do not fill up every seat…. …by raising their hands to indicate how many there was in their group. The group that fits the number of vacant seats would be given priority even if they appeared last in line. In this instance, the “winning” number was five and there was only one group that met the number. 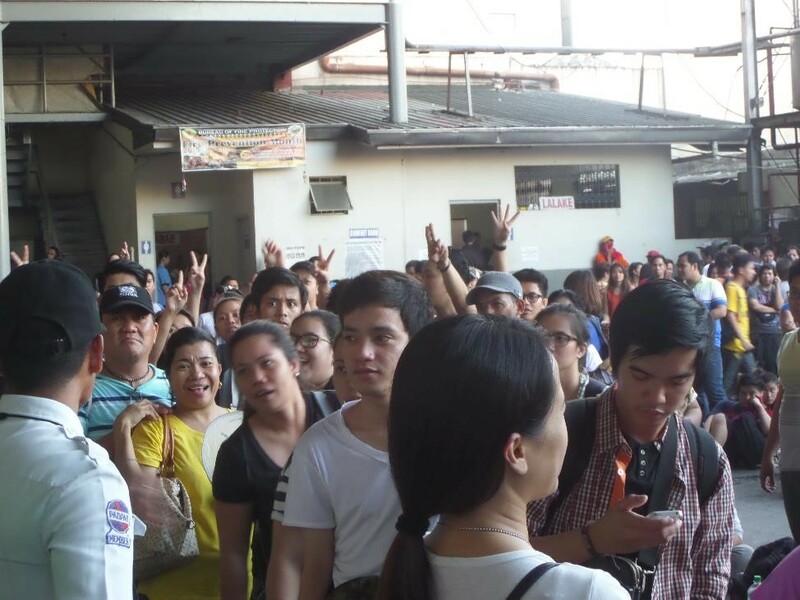 They immediately zigzagged their way through the crowd with big smiles on their faces as if they had won the lotto. When my friend finally arrived, the line had not budged an inch at all. An hour later, we were still at the same longitude and latitude. My friend went up to the window to find out what was holding things up and it turned out that no one in our line was going to be served until the bus arrives from Olongapo. My legs were getting sore so my friend told me to take a seat along with our bags while she kindly offered to buy our tickets for us. Another hour later, we were holding our precious tickets. And let me tell you how it went for us. As you can see from the picture above, we have our designated bus number and seat numbers. 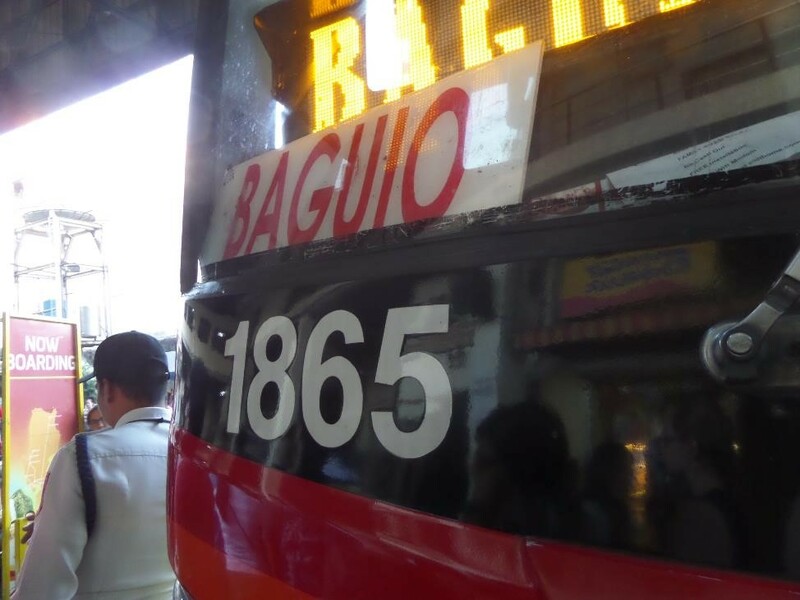 However, the bus number there (0-12) is not exactly the bus number which has four digits. According to one of the guards, the “0-12” is the dispatch number. 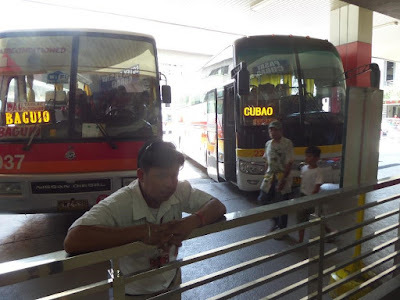 Each bus has a corresponding dispatch number which will be announced by, who else, the dispatcher using a sound system that was clearer than what Ninoy Aquino International Airport (NAIA) uses, if I may add. 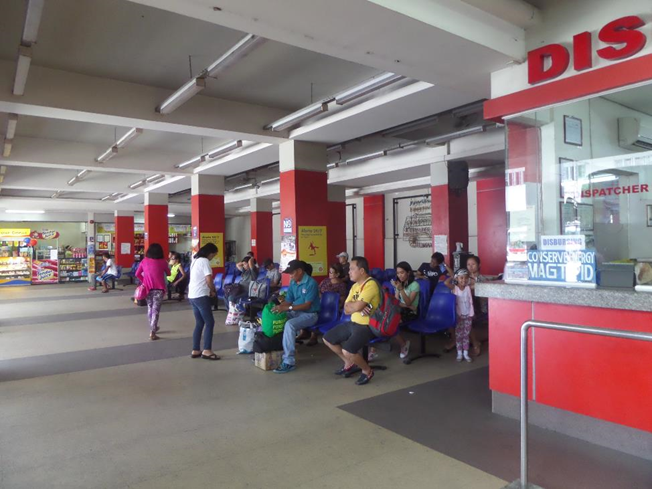 Now if the bus is not filled up, the dispatcher will call the next number but the reserved seats would have to be forfeited rendering ticket holders stand-by passenger status if they were not willing to wait for their designated bus. (Are you still with me?) This is what happened in our case. 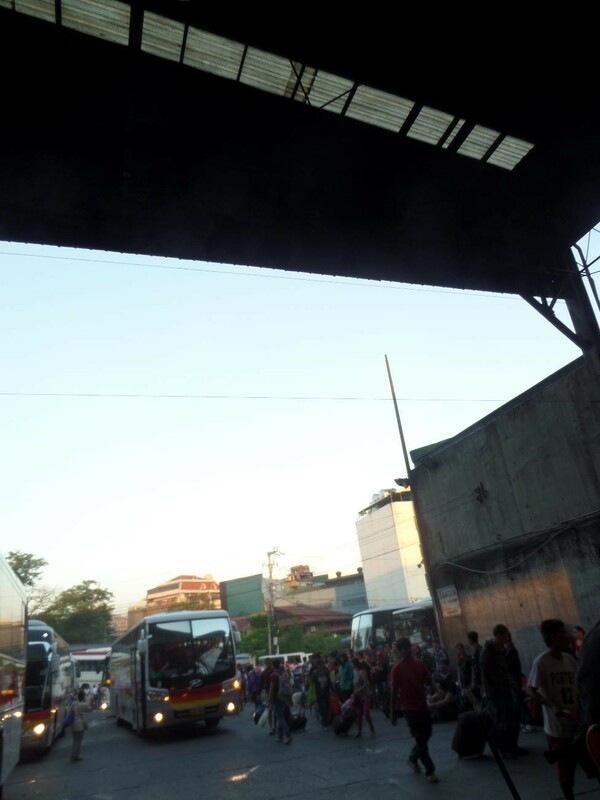 As soon as the bus from Olongapo arrived, we joined the rest of the passengers crowding around even though it was not our bus as it was servicing 0-11. We were ready to give up our reserved seats to get started on our weekend trip. And as soon as the conductor announced that there were vacant seats, we immediately showed our tickets even before the dispatcher could make his announcement. Strangely enough, even though there were a lot of people at the Olongapo boarding area, the bus was not even half-filled when we hopped on board so my friend and I still had the luxury of choosing our seats. 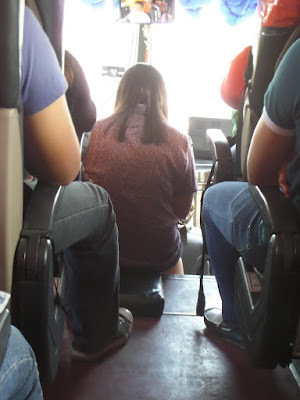 But soon afterwards, the bus was filled and they had to get out extra seats for those who were willing to sit on those small chairs or stand throughout the trip---for the same ticket price as those seated comfortably. 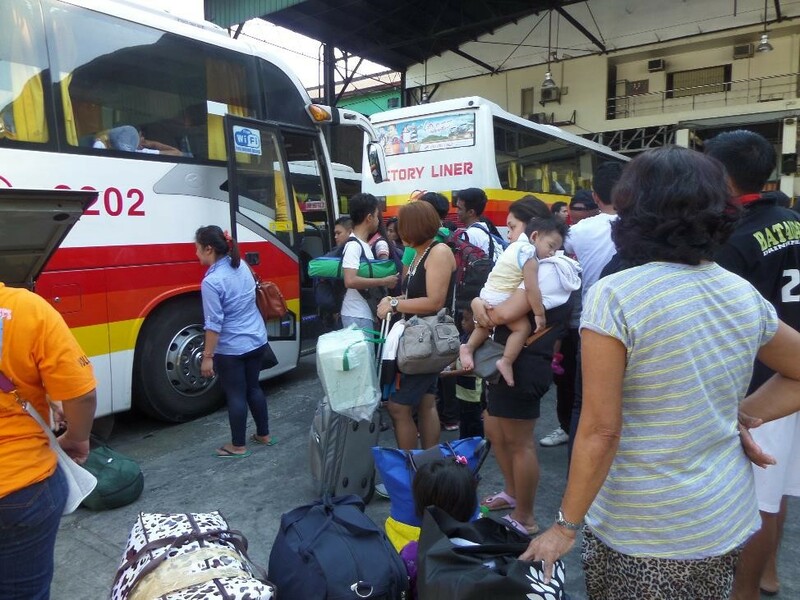 After all, it is the passenger’s choice whether to join or wait for their designated bus. While waiting, some food vendors were allowed to sell but of course, they have to leave once we were ready to depart. The trip going to Subic via Pampanga took three hours with one stopover for “CR break” (comfort room break) but we also made some unscheduled stops upon entering Olongapo for those who wanted to get off before reaching the terminal. (Two passengers were dropped off exactly at their doorstep!) 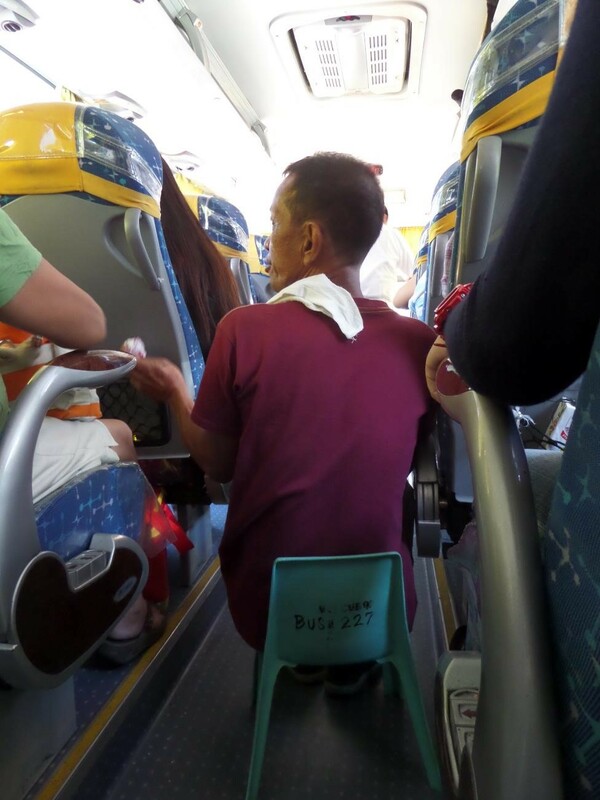 This gave those who had been standing or sitting on the aisle the chance to sit comfortably as they could take the vacated seats for the remainder of the trip. 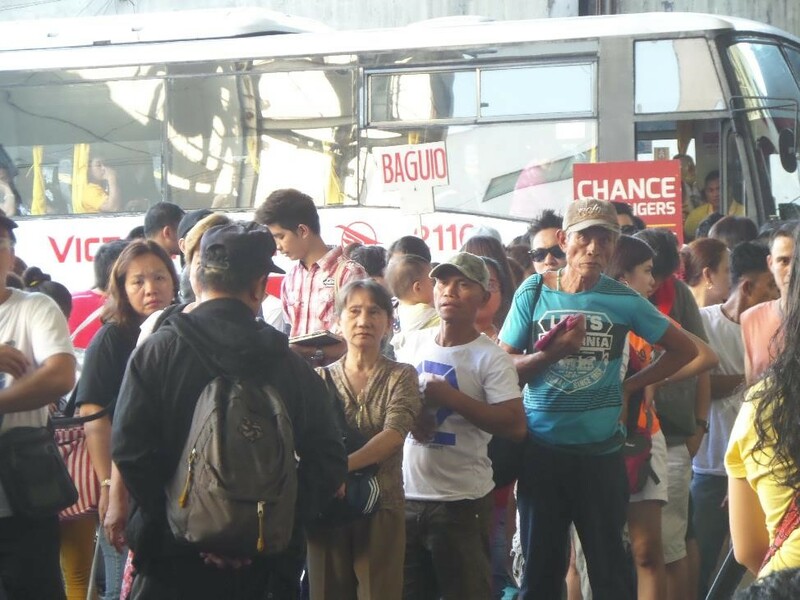 With the organized chaos at the Cubao terminal still fresh in mind, I feared there would be a repeat going back to Manila the following day so I was so delighted to see that there were not enough waiting passengers to fill up a bus! My friend said it was because I was leaving at an odd hour (lunch time) and midway through the long weekend holiday. The chaos will come the following day. So unlike our Manila experience, we were able to buy my ticket (I was going home alone) as soon as we arrived at the terminal. 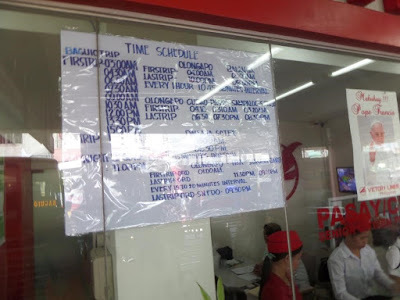 And unlike our Manila experience, there was a schedule of departures posted on the window. 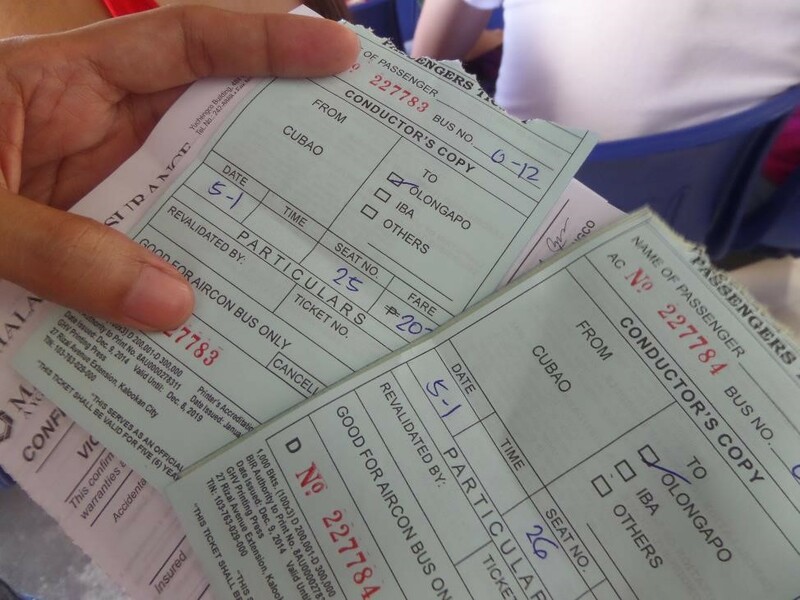 I was told that going the SCTEX route would cut my trip shorter by an hour so I paid more (but not that much). I was booked for the 12:50 p.m. ride which meant I had to wait for an hour but a security guard advised me to wait at the departing bus in case it doesn’t get filled up. 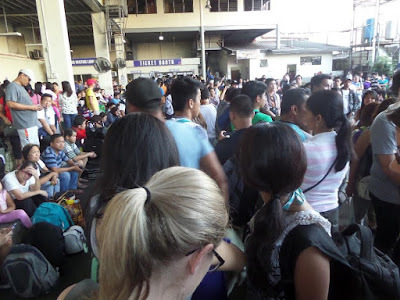 I was first in line among the chance passengers but there were two who arrived last trying to elbow their way up to my spot even though the guard reminded them to respect the queuing system. I naturally blocked their path as I smiled sweetly at the guard who announced that chance passengers could now hop in. Like our Manila trip, we had “aisle” passengers. Although I was told that the SCTEX trip would be just two hours long, we arrived three hours later at the Cubao terminal with several unscheduled stops for those who wanted to get off at some EDSA intersections. I almost didn’t recognize the terminal from the chaos of the day before. At the start of this article, I mentioned my apprehension about taking a bus but it proved to be a waste of energy as the ride turned out to be better than I expected with comfortable seats, safe driving, cool air-conditioning and music from my youth! I think I’ll be on a lot of road trips this year….